Former Secretary of Defense Donald Rumsfeld has been stripped of legal immunity for acts of torture against US citizens authorized while he was in office. The 7th Circuit made the ruling in the case of two American contractors who were tortured by the US military in Iraq after uncovering a smuggling ring within an Iraqi security company. The company was under contract to the Department of Defense. The company was assisting Iraqi insurgent groups in the “mass acquisition” of American weapons. The ruling comes as Rumsfeld begins his book tour with a visit to Boston on Monday, September 26, and as new, uncensored photos of Abu Ghraib spark fresh outrage across Internet. Awareness is growing that Bush-era crimes went far beyond mere waterboarding. Middlesex County: District Attorney Gerard T. Leone, Jr.
OFFICE ADDRESS: 45 Shawmut Ave.
Worcester District Attorney Joseph D. Early, Jr.
Channel 2 and YouTube bring you a special interview with Israeli PM Benjamin Netanyahu, in which citizens ask questions about the peace process, unrest in the Middle East, and more. Did the Israeli government authorize the Israeli company, Global CST, to finance and arm and supply Gaddafi with 50,000 African Mercenaries? The US demands that Israeli-funded African Mercenaries be granted Immunity from War Crimes! Edward Teller first posted a story about this yesterday, but its not up on the front pages anymore so, I need to hat tip him first by linking to it here. Second, I want to add some more details that have come to my attention since he posted it. This story is important because it involves the potential use of US Military personnel in a theater of war where they may be harmed, and it involves the use of US tax dollars to pay for those forces. It also involves the right of an indigenous people, Libyans, to determine their future for themselves, and how they have risen up to oppose a brutal tyrant of over 40 years. Finally, this story involves the potential that our Commander-in-Chief and President, Barack Obama, may be lying through his teeth to us, the American people, and that NATO, the United Nations Security Council, and other European nations may also be doing one thing but claiming to do another. Army Pfc. Bradley Manning is accused of leaking military secrets to the public. [His] supporters are holding rallies in 21 cities, seeking Manning’s release from military custody. Manning is in the brig for allegedly disclosing a classified video depicting U.S. troops shooting civilians from an Apache helicopter in Iraq in July 2007. The video, available at www.collateralmurder.com, was published by WikiLeaks on April 5, 2010. Manning faces 52 years in prison. No charges have been filed against the soldiers in the video. In October 1969, the most famous whistleblower, Daniel Ellsberg, smuggled out of his office and made public a 7,000 page top secret study of decision making during the Vietnam War. It became known as the Pentagon Papers. Dan risked his future, knowing that he would likely spend life in prison for his expose. The release of the Pentagon Papers ultimately helped end not only the Nixon presidency, but also the Vietnam War, in which 58,000 Americans and three million Indochinese were killed. Dan’s courageous act was essential to holding accountable our leaders who had betrayed American values by starting and perpetuating an illegal and deadly war. Manning’s alleged crimes follow in this tradition. The 2007 video, called “Collateral Murder,” has been viewed by millions of people on the Internet. On it, U.S. military Apache helicopter soldiers from Bravo Company 2nd Battalion 16th Infantry Regiment can be seen killing 12 civilians and wounding two children in Iraq. The dead included two employees of the Reuters news agency. Washington – One of five US soldiers charged with premeditated murder described his unit leader as ordering the gruesome death of unarmed Afghan civilians in a military interrogation video obtained by US media on Monday. Corporal Jeremy Morlock, who faced a pretrial military hearing Monday in Washington state, admitted in the interrogation his role in the slayings of three Afghans. He described how his ‘crazy’ Staff Sargent Calvin Gibbs would seek out civilians and order them killed by the military unit. ‘We identify a guy. Gibbs makes a comment, like, you know, ‘You guys wanna wax this guy or what?” Morlock told the military interrogators. The soldiers allegedly cut off fingers and other body parts of their victims to keep as trophies, according to charging documents released earlier this month. The murders were allegedly committed in January, February and May by the soldiers from an armoured brigade out of Washington that was deployed to Afghanistan’s Kandahar province. Morlock, Gibbs, Specialist Adam Winfield, Specialist Michael Wagnon II and Private First Class Andrew Holmes face the death penalty or life in prison if convicted by a military court. Aside from premeditated murder, they also face charges of using hashish, obstructing justice, possessing human body parts and retaining mortar rounds for personal use. Future historians will marvel at how U.S. leaders failed to learn from their horrific crimes in Indochina, and are instead repeating many of them today. Former US secretary of state Henry Kissinger addresses a keynote on the theme of power shifts and security at the opening day of the eighth Annual IISS Global Strategic Review conference in Geneva. Nothing more symbolizes how the temptations of power can corrupt youthful values and idealism than Secretary Hillary Clinton’s invitation to Henry Kissinger and Richard Holbrooke to keynote a major State Department conference on the history of the Indochina war. As an idealistic college student, Clinton protested Kissinger’s mass murder of civilians in Indochina. She knows full well that had the international laws protecting civilians in war been applied to Kissinger’s bombing of civilian targets in Indochina he would have been indicted for crimes of war. But on Sept. 29 she will introduce Kissinger at the State Department Historian’s conference, giving him a platform to continue 40 years of Orwellian deception in which he has sought to blame Congress for the fall of Indochina rather than accepting responsibility for his massive miscalculations and indifference to human suffering. 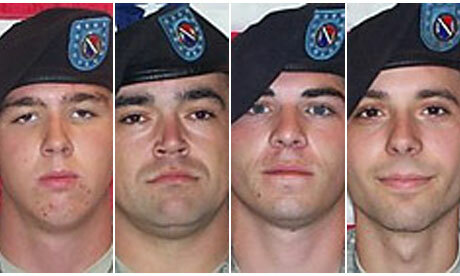 Twelve American soldiers face charges over a secret “kill team” that allegedly blew up and shot Afghan civilians at random and collected their fingers as trophies. Five of the soldiers are charged with murdering three Afghan men who were allegedly killed for sport in separate attacks this year. Seven others are accused of covering up the killings and assaulting a recruit who exposed the murders when he reported other abuses, including members of the unit smoking hashish stolen from civilians. In one of the most serious accusations of war crimes to emerge from the Afghan conflict, the killings are alleged to have been carried out by members of a Stryker infantry brigade based in Kandahar province in southern Afghanistan. According to investigators and legal documents, discussion of killing Afghan civilians began after the arrival of Staff Sergeant Calvin Gibbs at forward operating base Ramrod last November. Other soldiers told the army’s criminal investigation command that Gibbs boasted of the things he got away with while serving in Iraq and said how easy it would be to “toss a grenade at someone and kill them”. 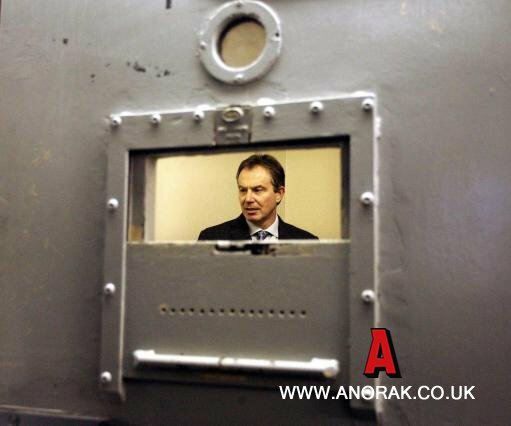 Blair’s “Journey” — Where it Ought to End, but Won’t! Tony Blair will be signing copies of his forthcoming book, “My Journey”, in Waterstones (big British bookshop chain like Barnes and Noble), Piccadilly, on 8th September. Might even show up myself to kick up a stink! Blair has vowed to give the advance of £4.6 million to the Royal British Legion, an act which will result in his tax bill being cut by £2.3 million. To mark the auspicious occasion, those crazy “canooks” at Global Research Centre have published these two articles on the man. Waterstones are pleased to announce a programme of book signings for the week of 6 – 10 September 2010. Sometimes a topic simply will not go away. These weeks, Anthony Charles Lynton Blair, Q.C., former British Prime Minister, alleged potential war criminal, surreal Middle East Peace Envoy – who led an administration which shared responsibility for, if not quite rivers of blood, bloodied market places, mosques, squares, homes, humans, hospitals, beyond counting – just keeps coming back and back. Fresh from the Balkans, after accepting a solid gold “Freedom Medal”, Kosovo’s highest Award – from a nation less than a shining example of the rule of law, where streets and the capitol’s main square are named after him,(1) he immediately re-invented himself as best selling author. His book signing is a “must attend” event, at literary emporium Waterstone’s showcase store, in London’s Piccadilly, on 8th September (2) – if you are prepared to relinquish your handbag, laptop, keys, cash, backpack, and other belongings, to a stranger, at the door. Ex-Prime Minister and post-Downing Street millionaire Tony Blair, to celebrate the publication of his book A Journey, is holding a ‘signing’ session at Waterstones, Piccadilly on 8 September. That this man, responsible for taking us into an illegal war, playing his part in the ruination of an ancient country because he ‘believed he was right’, should advertise himself in this way has caused outrage. Time, I think, to look at where we, and Blair, actually stand in terms of what we can and cannot do to call him to account. What hope for international law? We have spent years constructing that body of treaties, statutes and conventions known as international law only to ignore it when it is most needed. How often has any state or rather, how many powerful Western states have been brought to account for breaching international law? And how many exempt themselves from the laws while insisting others abide by them?